I have a small retail craft store, and am intersted in starting a website for the store. Those of you that have websites- would you mind sharing a little about what provider you use, how to choose a domain name, and have a shopping cart. 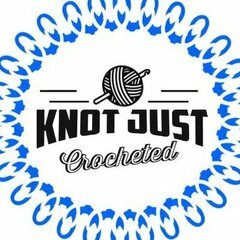 I'd like to be able to sell my crochet items, patterns and craft supplies on line in addition to my store front. Any advise? I've been looking at GoDaddy, Shopify, and Vistaprint. What would be good for someone who's not too tech savvy? Something easy to set up and use. Have you looked into the business classes available at your local community college? When I took an HTML class a few years ago I noticed there were several e-commerce classes available as well. Perhaps there will be something similar near you? You could also ask at your local library, they might be able to direct you to some recent books or articles on the subject, as well as relevant websites. My current site is a vistaprint site. Webbly offers free sites that are nice and easy to set up but you cannot do "product options" so I couldn't use it. The vistaprint site is easy to set up and get going and you can easily put in your paypal shopping cart with product options. The only thing I don't like is everything is extra like better web site stats etc. You might want to consider a place like ecrater.com. They offer a free storefront. It is very easy to set up. There are no fees other than the cost to process payments through Paypal or Google wallet. I have a domain name that I have forwarded to my eCrater store. I have had a store there for 4 years and I sell craft patterns plus my own original designs. I am very happy with the sales I have made there. I think that this might be easier than making up a website if what you want to do is sell your inventory online.